Erected by Greayer Clover Post no. 254, 1936. 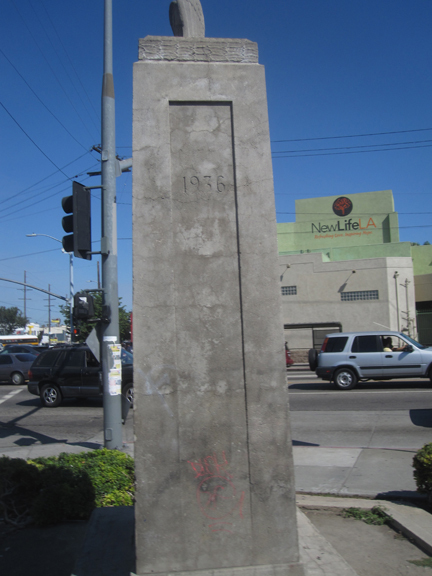 Located at the south-west corner of La Brea Avenue and Adams Boulevard, Los Angeles. 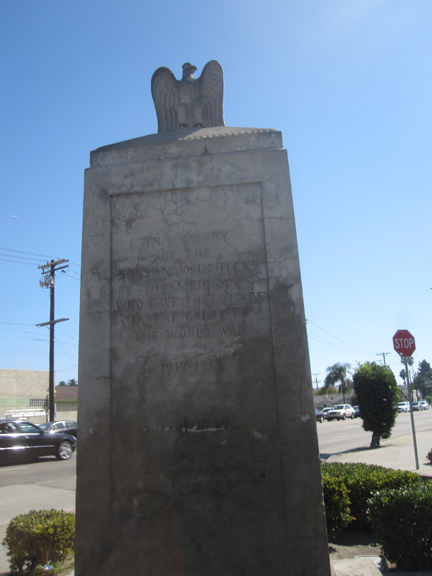 Inscription reads: In memory of the sons and daughters of America who gave their lives in the cause of the World War 1917-1918 and 1941-1945. [Post named after Greayer "Grubby" Clover. 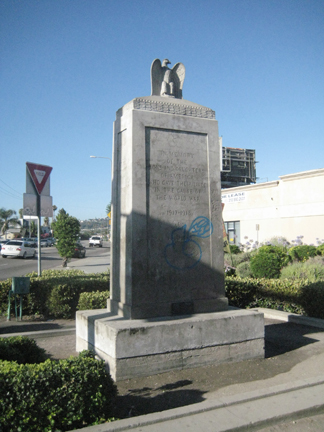 Commemoration of World War II was added later, since the original date for this monument was 1936].